Italy’s Castellana Grotte New Mater has announced in its official website the signing of Australian national teamer Aidan Zingel to its roster. 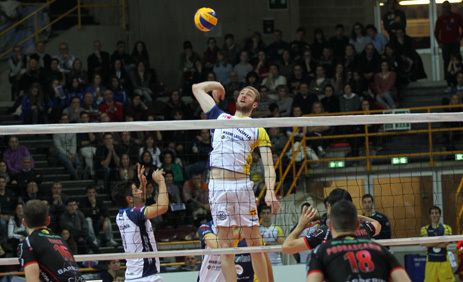 One of the best middle blockers to play in Italy’s professional league in the past decade, The 28-year-old Zingel is transferring out of Trentino, after spending his first seven seasons in Italy with Verona. He will be the first Australian to ever wear Castellana’s jersey. Zingel has led A1 in blocking for the last 5 seasons, while also hitting at a 61% clip. He was awarded as the best middle blocker of the league in the 2015/16 season. At the international level, he has amassed 187 caps for Australia’s national team, including a participation at the 2012 Olympic Games.